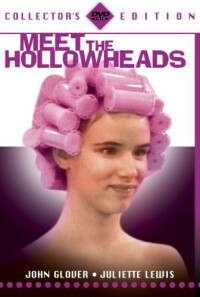 The Hollowheads are a strange, futuristic family that live in a Jetsons type world complete with many cool gadgets. Henry is hoping for a promotion at the slime factory in which he works and decides to bring his boss home for dinner and to meet the family. The horny, pervert, rude boss does not know what he is up against when he begins with his advances towards Mrs. Hollowhead and his abundance of rudeness. Regions are unavailable for this movie. Click the "Watch on Netflix" button to find out if Meet the Hollowheads is playing in your country.